Where to buy the iPhone 4S? Over 523 working discount & coupon codes are active! 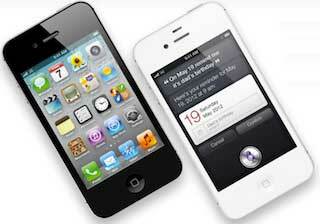 Home » Saving Made Easy Blog » Where to buy the iPhone 4S? Are you wondering where to buy the iPhone 4S in Canada? Today, (October 14th) is the release date for the new smart phone from Apple. Just in case you haven’t heard about it, this newest edition of the IPhone is set to break records for the most phones sold in one trimester. Will you be getting one? Estimates say that a whopping 25 million units of this puppy will be sold by the end of 2011. Not too shabby for a smartphone which was perceived by some as a disappointment just 10 days ago. Let’s just say that the hype surrounding the release of this phone was humongous and that once everybody calmed down and took the time to have a good look at this great piece of technology, the general consensus is that this iPhone 4S is the most amazing smartphone yet. Thanks to iCloud, the Dual-core A5 chip, 8MP camera and much more. Here is a small list of the online retailers who offer the iPhone 4S, it includes Apple (of course), TheSource.ca, BestBuy.ca and FutureShop.ca. They all sell or display the iPhone 4S prices and plans. – Apple : Obviously, Apple is in a strategic position to sell it own star product. The thing is that Apple.com people will only be able to purchase the iPhone 4S by itself, no plans included. Also, there may be a lot of people trying to get their smartphone there, so there may be delays. – The Source : TheSource.ca is probably your second best option when looking for the iPhone 4S. They partner with Bell, so all prices and rates can be found in one place. If you’re looking for a fast and simple shopping experience, TheSource.ca is a definitely a good bet. – Future Shop : At FutureShop.ca shoppers will also be able to compare rates from all the major networks available in Canada in a single place. This is definitely a nice feature.